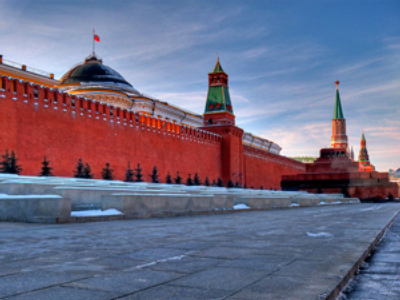 Sergey Sobyanin will solve the city’s acute problems and change the way of the administration, The Kremlin’s First Deputy Chief of Staff, Vladislav Surkov, has said. President Dmitry Medvedev on Friday nominated Deputy Prime Minister and the government’s Chief of Staff, Sergey Sobyanin, for Moscow mayor. With the arrival of a new mayor, the principle of government in the capital city will essentially change, believes the First Deputy Head of the presidential administration, Vladislav Surkov. The fully-fledged cooperation of the mayor’s office with the federal center will be established, which is much needed for solving the numerous problems of the city, he told Vzglyad online newspaper. According to him, the previous mayor, Yury Luzhkov, “was politically generated by radical publicist Gavriil Popov in the distant 1990s, when relations of the federation and its subjects were not smooth, to speak mildly.” In many ways, the city government opposed the federal center, Surkov added. Surkov stressed that Sobyanin is President Medvedev’s nominee and that Sobyanin was responsible for the president’s electoral campaign in 2008. At the same time, he said Sobyanin “has very valuable experience of work in [Prime Minister] Vladimir Putin’s administration and government,” he noted. For Sobyanin, “the constitutional principle of unity of executive power, the unity of its federal and regional levels is not simply words,” Surkov said. The role of the ruling United Russia party in Moscow’s political life will considerably increase with the arrival of the new mayor, the Kremlin’s first deputy chief of staff said. “The quality of influence rather than its quantity will rise,” he noted. 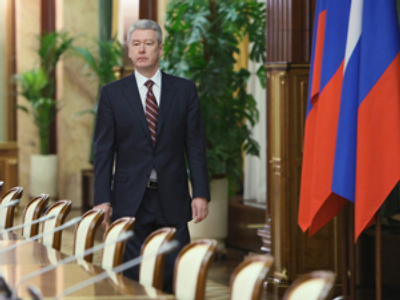 Sobyanin is a representative of United Russia’s political leadership and a member of the party’s supreme council, who is capable of “strengthening the party’s positions in Moscow,” Surkov noted. 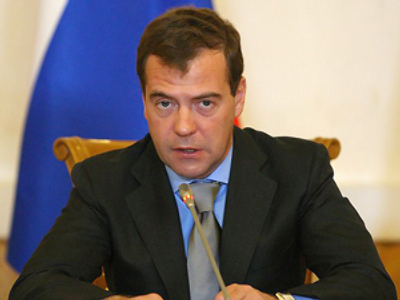 By choosing a top manager of United Russia, “President Medvedev actually stressed that he has full confidence in the party,” Surkov added. The political landscape of the capital city will become more complex in the future, Surkov said. “The president once noted at a meeting of the state council that for such a multidimensional city as Moscow, two parties in the parliament will not be enough with a lapse of time.” The number of deputies in the Moscow City Duma will also be more than current 35, he said. The head of the presidential administration predicts that ““nothing” will change in the city authorities’ policies toward street protests and rallies. For many years, the actions of the city’s government, including those regarding rallies at Triumfalnaya Square, were “legal and correct,” Surkov noted. The Moscow City Duma is expected to consider the presidential nomination and vote on Sobyanin’s candidacy later this week.